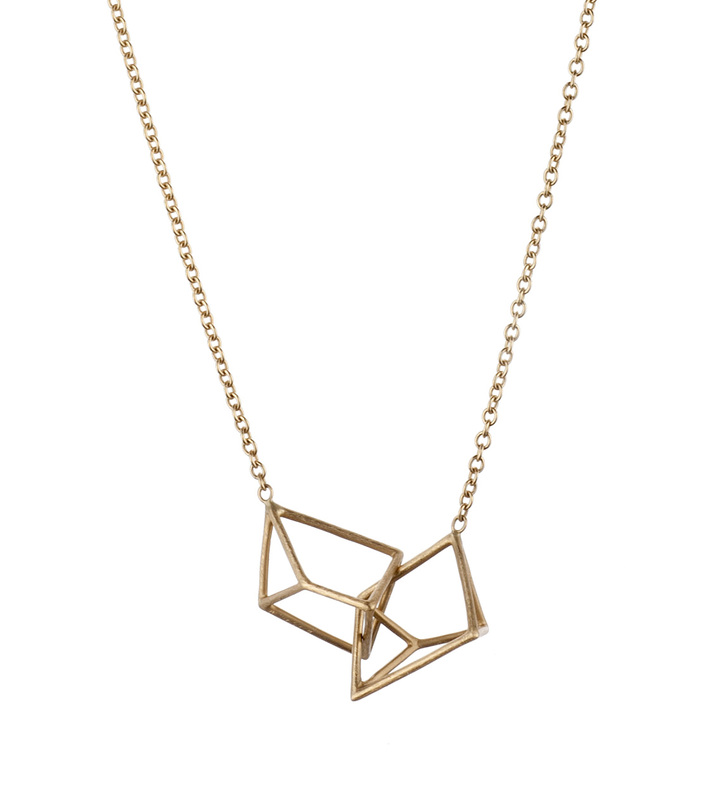 Simple and perfectly balanced, this Florentine-finished 18-karat yellow gold necklace by designer Adam Foster features two interlocked geometric forms suspended from cable chain. Necklace measures approx. 17” in length. Geometric forms measure approx. 0.5” l x 1.25” w.
At Elleard Heffern, we want you to be happy with your purchase. There are a few important things to keep in mind when making a return. Only items that have been purchased directly from us can be returned to us. Returns of custom pieces are handled on a case-by-case basis. All jewelry is subject to prior sale and/or price change. Not all jewelry shown is in-store at all times; please call for current availability if you are interested in a specific piece. Many of our designers work in mixed metals. This is usually done for the purpose of design, but it can also be to make their jewelry more comfortable, wearable, affordable or stable. These proprietary techniques may include fusing, overlaying, plating or forging. Schedule an appointment or call for more details. 18-karat yellow gold necklace featuring a disco ball pendant set with round diamonds. Elleard Heffern Fine Jewelers specializes in high quality jewelry from the world's most distinctive designers, as well as engagement rings, bridal jewelry, fine diamonds and gemstones. We are located in Clayton, Missouri, a suburb of St. Louis. © 2018 Elleard Heffern Fine Jewelers. Site powered by BLAYZER. All rights reserved.